Immerse International has been welcoming students to our campus for over 30 years. We have single and shared rooms to meet your housing needs. In addition to students studying English at Immerse, international students from area colleges and universities in the Lancaster area can live at Immerse. 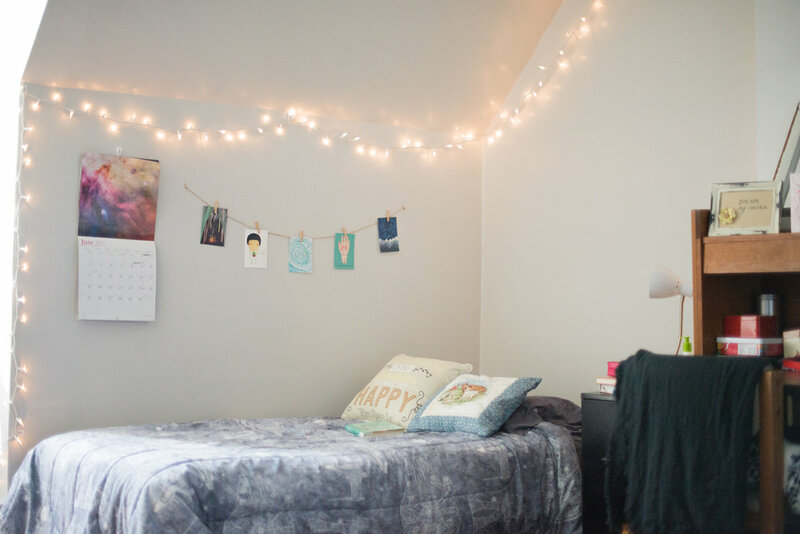 Our prices are significantly lower than living in a college residence hall, and our campus is smaller so you will never feel like a “number” or lost in the crowd. We are located on a safe campus and close to shopping, restaurants, cafes, grocery stores and area attractions. Philadelphia is just over one hour by train from Lancaster. Please note: All residents must be at least 18 years old at the beginning of their stay at Immerse. If you arrive after the month has started your cost will be prorated for the days you will be staying. Most are shared rooms. We have a limited number of single rooms available upon request. These are shared by 3-4 people. All rooms include beds, dressers, closets, desks & chairs. Residents will need to provide their own pillows, bed linens, towels & wash cloths. All utilities, including WiFi and Cable TV on the community television, are included. Coin operated laundry is on-site. Prepared evening meals are provided Monday - Friday. Food items are provided in the student kitchen for all other (self-serve) meals. Soccer field, indoor basketball court, and bike storage are located on campus. We are also close to public transportation, walking trails, parks, shops & banks. We desire to help you as you transition to life in the U.S. while you are with us at Immerse. We are often asked whether living at the International House at Immerse is affordable or not. Compared to area colleges and universities, or living off-campus in an apartment, the International House is a great place to live if you want to save money and get to know people from all over the world. We also provide field trips, game nights, and housing during holidays and summers. Immerse International works closely with our students to meet their academic goals. Our advising team gives students assistance in applying to the college or university of their choice. Students will receive assistance with finding schools and choosing programs, completing application documents, writing personal statements, and contacting schools for more information. Our campus is in beautiful Lancaster County, Pennsylvania. It is one of the USA’s most historical cities with all the excitement international students are looking for including cafes, restaurants, sporting events, museums, and outdoor activities. Students love Lancaster because it is safer than big cities and they can focus on their studies without all the “big city distractions”. If accepted, you will receive a Letter of Acceptance noting any steps remaining and you will receive an Invoice for the security deposit equal to one month’s rent. Payment of the security deposit is required in order to reserve your room.